After retiring from technology, I was free to explore every whim and I did. 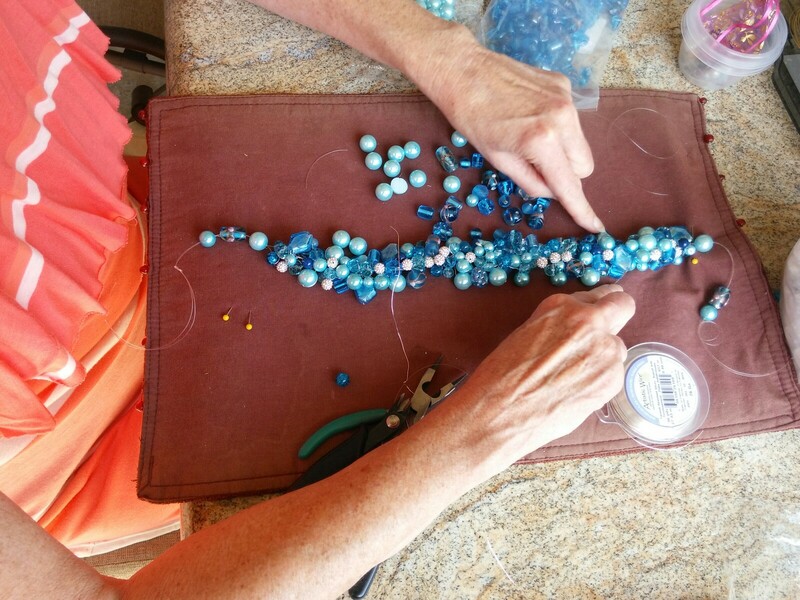 They say it is not the destination but the journey but for this post it's my latest destination - Beads and Beading. If you are a serious crafter you know that any hobby needs a serious stash. When you are inspired to create something you can't slow down the process by shopping for your items. I thought my knitting and crocheting period was bad but OMG beading requires a HUGE stash of stuff. Thus this crazed Beadaholic was born. Let's fast forward to 2 years ago. My wonderful husband had a hip surgery that did not go well. He and I, as his caregiver, were pretty much shut ins for at least 6 months. I desperately needed an outlet for all my home time and so I decided to sell my jewelry creations online. This was a perfect solution. Everyday I was here to watch and help my husband steadily improve albeit glacial and I had plenty of time to create. The triple bonus was all those necklaces needed tons of BEADS! At last, we are ready for The Twisted Sister Journey. PS Next up - Not So Easy Peasy!